As I mentioned in the previous article, I want to end this series by reviewing some rather extraordinary instruments. The two instruments covered in this installment can be considered grandfathers of today's synths, and some of them are still in use. And, as you'll see, each has its own particularities, and while both use tubes to create their sound, they do so differently. Conceived by a Frenchman ─ Maurice Martenot ─ who had been a radio operator during the World War I, the instrument creates sound via heterodyne tube oscillation, a relatively simple technology initially used for the manufacturing of radio systems. 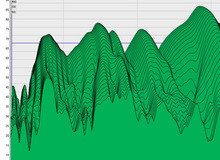 Using a pair of tubes, it produces waves at frequencies that largely exceed the human hearing range. In order to create audible sound, the frequency of one tube is subtracted from the other one (for example: 80,440 Hz – 80,000 Hz = 440Hz, concert A), resulting in very "pure" sounds. 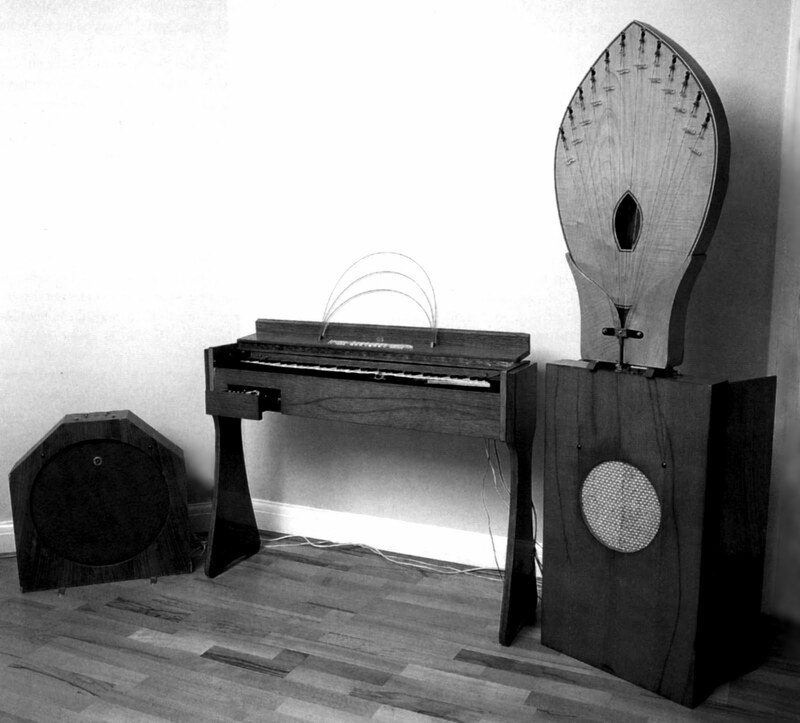 Martenot developed seven different models based on this technology between 1928 and 1975, when he passed away. From the very beginning, the Ondes Martenot featured a ribbon that allowed you to make glissandi the same way you would with a string instrument. From the second version onwards it included a keyboard, too. The instrument is capable of producing sine, triangle, square, and pulse waves, as well as pink noise. It also features a filter, and you can instantaneously transpose in quarter notes, semitones, thirds and fifths. The keyboard itself is mobile and allows you to get a natural vibrato (see article 13) while you are playing. The idea behind Maurice Martenot's design was to use the purity of the sounds produced by the tubes to create an instrument that brings together the advantages of a keyboard and a bowed stringed instrument. In fact, an intensity control activated with the left hand while playing with the right, acts as a sort of bow, allowing you to get lots of expressive richness. Four speakers complete the arsenal of this surprising instrument: A traditional loudspeaker, one equipped with springs to create an acoustic resonance, another one with 12 chromatically tuned strings, and, finally, one that uses a metallic gong as diaphragm. The volume of the speakers can be adjusted individually or relative to each other directly from the instrument. Thus, the musician has lots of possibilities to control the nature of the sound produced. 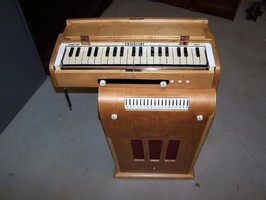 The production of the Ondes Martenot stopped in 1988, but was revived in the 2000's as the Ondea, created by Ambro Oliva, with the support of Maurice Martenot's son. The second instrument I want to mention here ─ the Ondioline ─ was also created by a Frenchman, Georges Jenny, but much later on, in 1941. This instrument is also based on a tube oscillator, but it doesn't use the heterodyne system. 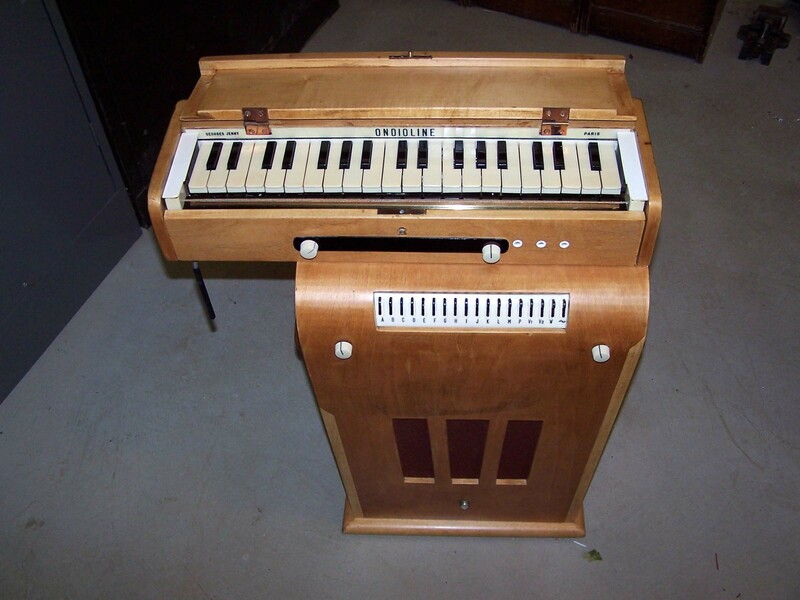 Like the Ondes Martenot, the Ondioline also features a mobile keyboard, but that's about the only similarity. The ribbon it has doesn't allow for glissandi, it's conceived to produce percussive sounds. Unlike the Ondes Martenot, whose goal was to make the best of the "purity" of sounds produced by the tubes, the Ondioline was conceived with the idea of artificially recreating the sounds of acoustic instruments. A filter bank is used to make sounds. The filters can be engaged via multiple switches that allow all sorts of combinations.